The Football Business Academy and streetfootballworld join forces to further promote the idea of football for good and ensure that the next generation of football leaders embraces Corporate Social Responsibility by developing a solid understanding and inherent consciousness of the important role it plays in society and the wider football industry. -Dr. Vladimir Borkovic, Network Director, streetfootballworld. The Football Business Academy is delighted to partner with streetfootballworld, an international network of more than 120 non-profit organizations that use football to engage young people and drive social change, as it endeavors to educate its students about the enormous potential – and importance – CSR holds to use the global appeal, reach and influence of football to improve lives and empower young people to reach their goals. Always committed to creating value where it matters, The FBA will support streetfootballworld with qualified interns, Student Business Projects, as well as offer special scholarships to their network members’ employees who wish to take the FBA’s Professional Master in Football Business in order to enhance their understanding of and network within the global football industry. At the same time, FBA students will be exposed to some of the programs streetfootballworld runs through its network – such as football3, Football for Good, and the recently launched and highly acclaimed Common Goal initiative which unites professional football players (such as Juan Mata and Mats Hummels) who pledge 1% of their salaries to charity – in order to develop a practical understanding of how football can be used for social change and how to properly engage with all the relevant stakeholders. The FBA will also commit to organize fundraising initiatives throughout the year and donate 1% of its profits to charity starting in 2018.
streetfootballworld is the world leader in the field of football for good, bridging the gap between community organizations, who use football to change lives, and partners who believe in their potential to change the world. 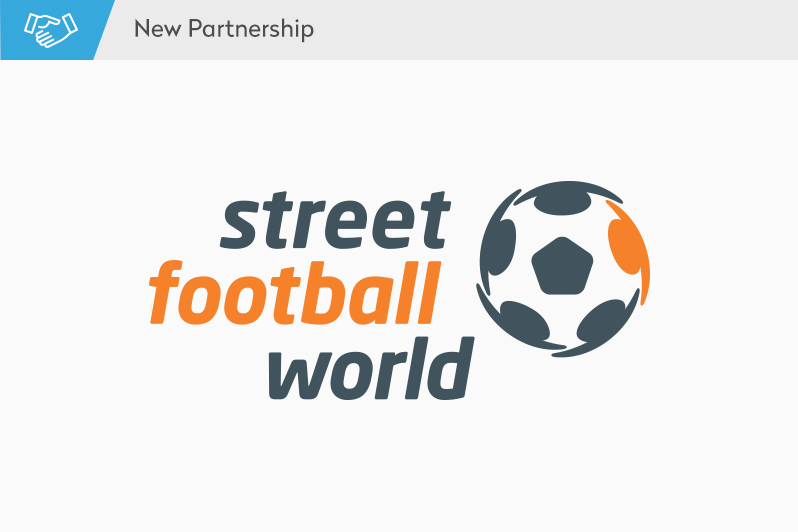 Over the past 15 years, streetfootballworld has assembled and supported a global network of 124 football for good organizations changing the lives of 2.3 Million youth in 80 countries. streetfootballworld’s impact has been recognized with a variety of awards from the likes of Laureus, UEFA and the World Economic Forum. The Football Business Academy is a new educational institution dedicated to the football industry. It offers an innovative and comprehensive Professional Master in Football Business which has been developed in a collaborative way with football industry experts around one foremost objective: to provide students with all the necessary tools and an optimal learning environment in order to succeed in this passionate and dynamic industry.